This Plug-in Mosquito Killer Unit from Lifesystems will help keep pesky mosquitos and many other biting and stinging insects at bay. 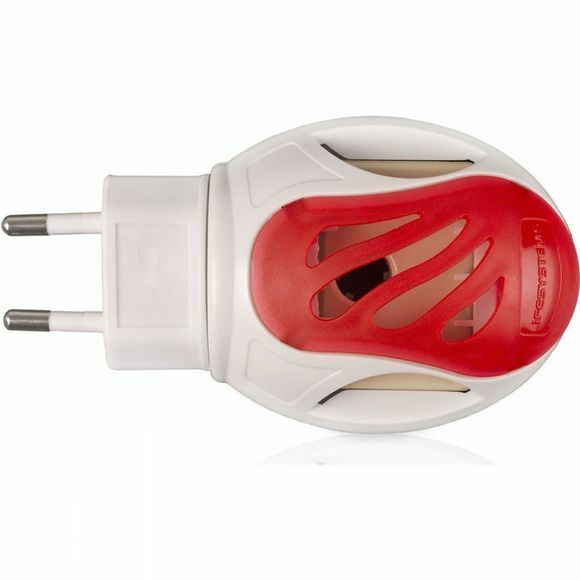 Simply plug it in and enjoy the benefits of bug-free accomodation across the world, when used with a suitable travel adaptor. There are 40 tablets supplied which can each be effective for upto 10hrs making them ideal for use during the night.